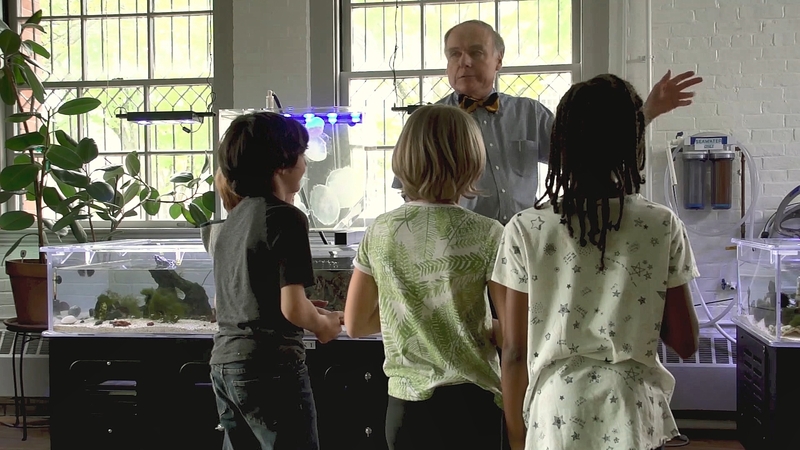 A group of kids visits a nature center with their teacher. They go to a room with a tank of jelly fish. The teacher starts to lecture, and the longer he talks, the more excited the kids get. But this is not the lecture that captures their attention.